A great read with wonderful quirky characters. The stories may be short, but I loved how the different authors wove the characters and the town throughout the different stories with each focusing on a different character while the others are woven in and we get to see development. I would love a full length novel about them. This is a book with 6 cozy mysteries all involved with the Perk, a coffee shop, and the regulars there! Each story has a different author, but they share most of the characters and locations! The stories are well-written with no bad language! I really enjoyed all the stories! I enjoyed all six stories in this book. If you are looking for short cozy mystery stories that are well written, you will love this book. The stories are all intertwined with the same characters but wrote by different authors. 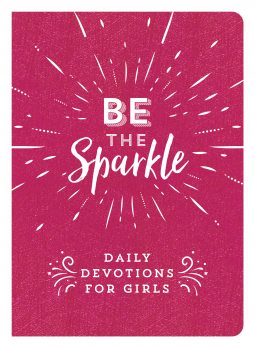 This is a good, clean, christian book. I highly recommend this book. Thank you Barbour Publishing via NetGalley for the ARC copy of this book. This is my honest opinion of this book. Morgan Butler, the owner of the Coffee Perk, finds a project worker hanged at her shop. If you are in the mood for some great mysteries that you can read super-fast, this is your book. The stories are well crafted and enjoyable and wow, there seems a lot going on in their small town :-)  Perfect for any lover of cozy mysteries and short(er) stories, this book is a delight to read with a cup of coffee at your side. I absolutely loved this book. It has multiple books in the book. A new author writes each new book using the same characters and theme as the first one. It was great to keep up with the characters in the books, without having to wait for the next book in a series to be released. This kept me entertained for quite a while. This sweet little town and awesome friends group really warms your heart. I definitely recommend this book. I loved how there was a base cast for this book, it felt familiar and I really enjoyed the mysteries surrounding the small town in Kansas. I wish these were longer though! I feel like each could have been it's own stand alone series. The Coffee Club Mysteries is a delectable collection of cozy mysteries. I enjoyed each of the six stories. Even though they are all written by different authors, they connect in unique ways. I love that the ladies are tied together as a book club, even though they spend more time solving crimes than discussing books. If you enjoy mysteries, this is the perfect book to cozy up with on a winter day. 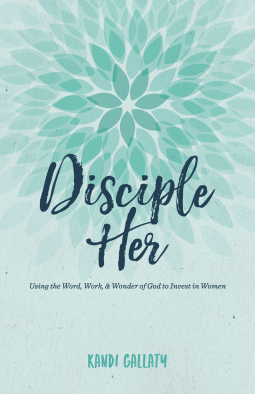 I received a complimentary copy of this book from Barbour Publishing, Inc. through NetGalley. Opinions expressed in this review are completely my own. A great set of cozy mysteries. For those that enjoy a good mystery without the blood, gore and foul language, this compilation of stories will keep you busy guessing and entertained. The ladies in the coffee club seem to keep stumbling into and onto mysteries galore in their seeming quiet little community. Thankfully, they are up to the task each and every time that a situation comes up. You will be pulling for these ladies and they help each other along. 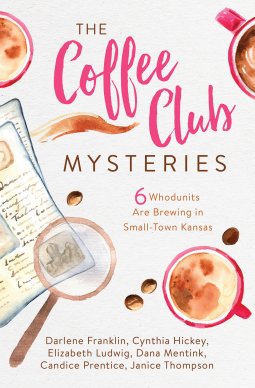 The Coffee Club Mysteries is a collection of six short stories by different authors  that are cleverly interwoven and are tied into the local coffee shop, The Coffee Perk.. It is interesting to see the way the coffee club ladies get involved with solving the various crimes. It is an enjoyable read. I was given a free copy of the book by NetGalley from Barbour Publishing Inc. The opinions in this review are completely my own. The Coffee Club Mysteries contains six shorter stories, all centered around a group of ladies in a small town. What's not to love about intrigue, a great cast of characters, and a cozy coffee shop? Recommended for cozy mystery fans. Thanks to Net Galley and the Publisher for this review copy. The Coffee Club Mysteries by Darlene Franklin, Cynthia Hickey, Elizabeth Ludwig, Dana Mentink, Candance Prentice and Janice Thompson is a wonderful compilation of short mysteries that are unique yet embrace many of the same characters. The Coffee Club ladies are a book club that meets weekly, or more often as needed, at the Coffee Perk owned by Morgan Butler. The Coffee Perk is the focus of the first story as Billy Bob Rankins is murdered while installing the new sign. There are a lot of suspects as Billy did not have many friends. Morgan and friends Harper, Jo, Penny, Evelyn and Jeanine enlist the assistance of mystery writer, Dean Matthews, as they ask questions all around town. Will the amateur sleuths solve the mystery before the police? The next story focuses on Penny and her bee hives. With the help of her little dachshund the Coffee Club ladies uncover clues the police may be missing. Evelyn finds a dead body in the church kitchen in the third story. Who would want the cook for the homeless dead? Again, he is not very well liked so there are lots of suspects including Evelyn’s cousin by marriage, Jonathan who suffers from PTSD. Can they save Jonathan and solve the mystery? Is romance in the air when the cute computer guy from church offers to help buy a new computer when hers dies? In the fourth story the ladies are celebrating Jo’s seventy-fifth birthday. Someone sends her a large carton of her favorite coffee creamer with no card attached. She offers to share it after carefully ascertaining the nut flavor is artificial. Unfortunately, her former boss’s daughter helps herself and later dies from her nut allergy. Who knew about Monica’s allergy and that she wouldn’t be able to pass up the coffee creamer? Story number five finds the ladies on a trip to the next town to go antiquing for the weekend. Harper buys a small jade owl at an estate sale and bad things begin to happen, including Harper becoming quite ill after ingesting nuts at the nut-free bed and breakfast. Is the owl cursed? Or is it worth a lot more than she paid for it? The ladies enlist the help of the very handsome deputy sheriff to solve the case. Is he interested in more than just solving the case? Perhaps a bit of romance? Finally, we end with a story of Christmas and giving to those less fortunate. What happens when the $3000 raised comes up missing? Who had access and why would they steal from children? We quickly learn that some of the characters may not be as appear on the surface. It is a reminder to get to know people before passing judgement. Will the money ever be recovered or will Morgan need to replace it as it was in her hands for safe keeping? I loved these stories! They are all unique and have interesting twists and turns yet involve the same small town and main characters. 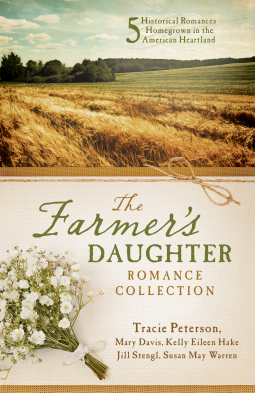 You really get to know the ladies as more of their personal lives comes out in each story. I give this book 5 of 5 stars. A wonderful Christian novel. Extremely well done. I received this ARC via Netgalley and the publisher in return for an honest review. This is a series of six cosy mysteries, all set in the same small town, using the same characters. Each author provided a story about one of the six ladies who make up the local 'Coffee Club". Personal faith is a strong presence in the stories. 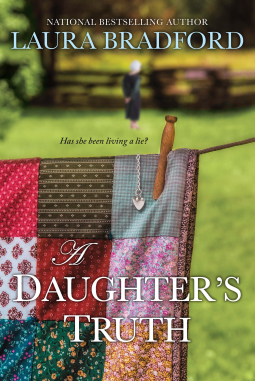 The mysteries are well written and the authors do a good job of intertwining each person's story into the context of the town and the other stories. Nice cosy mystery series. I love these complilation books. 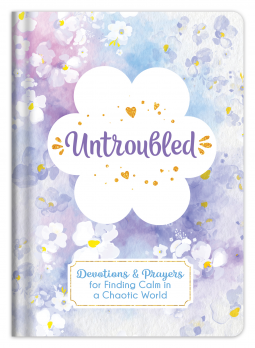 This book contains short cozy mysteries that appear to have a connection. I love the fast pace of the mystery. Each authors story was well written and enjoyable. I am not a coffee drinker but enjoyed the plots anyway. Thank you netgalley and Barbour Publishong for the arc of this book. The opinions in the review are my own. I throughly enjoyed this collection of cozy mysteries. All are well written and although written by different authors the characters and stories all meld together perfectly. I received an arc from Netgalley and this is my unbiased review. This is a fun collection of six whodunit mysteries set in one small town in Kansas. A group of women in a bookclub are entangled in each mystery. Each one is targeted or suspected in some way and it’s up to the women to prove their innocence and figure out who the real culprit is. The local sheriff is a suspicious, unhelpful sort who doesn’t like their nosing around. I enjoyed all six stories. The mysteries are solid. I appreciated that the last two stories changed things up a bit. If there were six murders in a small town in a short period of time, I’d think about moving. I loved how these women cared for each other in practical ways and stood by each other. They’re an eclectic group of women. I especially enjoyed the feisty Jo, a woman in her 70s who wasn’t afraid of “using her age to her advantage.”  She reminded me of Mrs. Pollifax, another older woman turned sleuth. Danny was cool, too. He had a great sense of humor and didn’t get uptight when a friend questioned his actions. Thank you to Barbour books for providing me with a complimentary e-copy of this book. All opinions are my own. 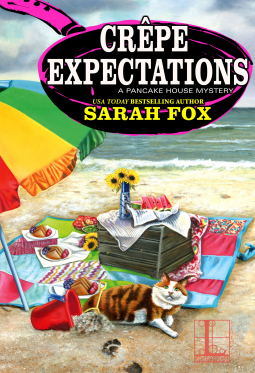 I love novella collections and I was so excited to see that this upcoming release from Barbour Publishing was a cozy mystery collection! Most importantly, a Christian cozy mystery collection!! And!! Each story was told from the first person point of view! I love when mysteries are told from this point of view as it really helps you dive into the character's thoughts, collect the clues and solve the mystery! 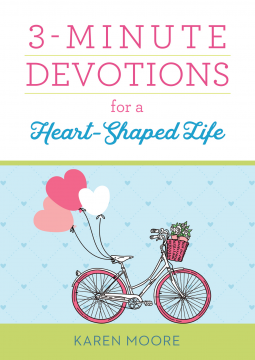 The six novellas included in this book were filled with a lot of faith, love and friendship. A few included a little romance, as well! I enjoyed the small town vibe with its vibrant, quirky characters. I am so glad I read this book! It was such a fun read! 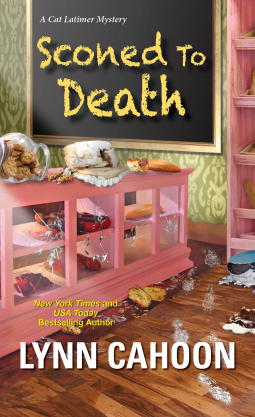 I absolutely recommend this to cozy mystery fans as well as fans of novella collections! The Coffee Club Mysteries releases on February 1, 2019. 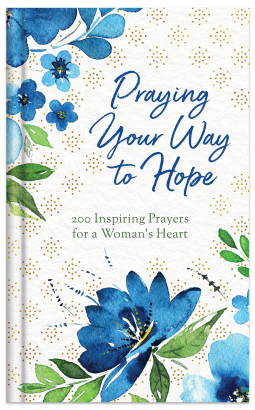 Preorder today at  Christian Book Distributors . 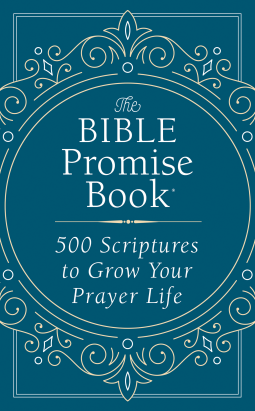 I received a complimentary advanced copy of this book from Barbour Publishing through NetGalley. A positive review was not required. All opinions expressed are my own. ++ Quote is taken from an advanced reader copy and may not appear in the final text. This is a collection of six novella mysteries, a quick read with quirky characters woven together, as each story focuses on a different characters. I would’ve enjoyed a few of the stories being longer. Coffee, reading, and solving mysteries links the characters. There was some inconsistency in the quality of the stories, showing that they were written by different authors. I enjoy the Barbour collections, and this one was no exception. Disclaimer: I received a complimentary copy from NetGalley, but I wasn’t required to leave a positive review. Fun book filled with short mysteries. I really enjoyed them all. I recommend this compilation of short stories. They were so much better than I expected. I typically do not like short stories, due to the inability to go deep with characters. I received a complimentary copy of this book from NetGalley and the publisher in exchange for a honest review. The Coffee Club Mysteries is a collection of six short stories written by Darlene Franklin, Cynthia Hickey, Elizabeth Ludwig, Dana Mentink, Candice Prentice, and Janice Thompson. Summary: In the small town of Oak Grove, Kansas, the local book club ladies are about to be thrown into a series of sinister mysteries that will change their lives forever. From murder, to thousands of missing dollars, these ladies will need to use every trick in the book to find out whodunit. My Thoughts:  I liked the idea of a group of book club ladies solving mysteries together, and really enjoyed the close friendship these ladies had with each other. BUT, my biggest problem with this book is that the stories started to sound the same after a while. Although the details changed somewhat, the formula stayed pretty much the same for the first three stories, and I found myself just ready to get on to the next one. The fourth changed things up a bit, but I found the last two to be the best-simply because they weren't about a murder and had a more diverse plot line. It also seemed a pretty big coincidence that four murders could happen within a few months in the same small sleepy town-involving the same ladies' book club. So, in summary, I didn't mind each individual story, and actually really enjoyed the last two, but the book would have been better served to have had more variety in the plot lines instead of the same basic storyline over and over. I would like to thank Barbour Publishing, Inc. for providing me with a free copy of this book for my honest review. I enjoyed these set of stories. Some of the authors like Cynthia Hickey and Dana Mentink I have read other stories by them and enjoyed them emensely. I always enjoy reading whatever they write. The rest of the authors in this bundle is my first time reading something from them and I was not disappointed. These stories allowed me to sit back and relax while enjoying reading something simple. Thank you ladies for a relaxing weekend and allowing me to enjoy a few stories. I really enjoyed all the stories in this book. First who doesn't love Coffee? The stories were lighthearted and perfect for a weekend read. The stories complemented each other very well and I liked the pace they had and the length for short stories was perfect.Three of the six authors are new to me and I look forward to reading books by them in the future, I would recommend this book for anytime you are short on time and need a quick delightful read. Six mysteries set in Kansas. Intriguing and worth a try. I requested this based on the description, the cover, and the fact that I was stationed in Kansas for three years, previously. I liked that all the stories were interlinked by characters. Set in Oak Grove, Kansas, each story involves the members of a local coffee club as they must discover who committed the murder in order to clear themselves or a friend. The women are supportive of each other, true friends. I liked that I was able to try six authors and the characters were consistent throughout the books. I hope other authors try this approach. 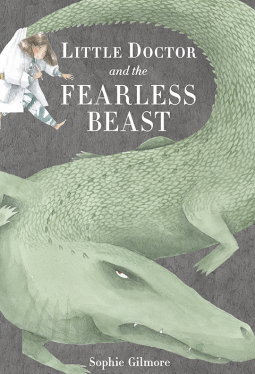 It can make for a fun read with different interpretations of the characters’ lives. As others have stated, this is a book with 6 separate stories by 6 different authors revolving around women in a coffee club in Kansas who are amateur sleuths because, through no fault of their own, they become embroiled in crimes committed including them! Those crimes include murder, robbery and such! These ladies are gems! I would love to meet them in real life. They are true friends to each other and have each other's backs, through thick and thin. The town sheriff is not really nice and doesn't seem very inclined to solve these crimes so the ladies take it upon themselves to do so, especially when a couple of them are the prime suspects! I really enjoyed getting to know the characters of this town in Kansas and the background of each of the ladies. Because these are cozy mysteries, there isn't anything "gruesome" about the crimes! I had read some of these authors before but others were new to me. I love discovering new authors! I would definitely recommend the book. First of all, even though these are six different stories, they didn't feel disjointed or stuttered. As if reading a single book written by a single author. How these six writers made them flow seamlessly together, I have no idea! I loved that I felt like I made friends with each of the characters. From the first introduction of Morgan Butler, the owner of the Coffee Perk where they hold their book club meetings, to Jeanine Gransbury, our baker extraordinaire. Then you have the classic cozy mystery elements; a small town full of quirky characters, a few beloved and personable pets (even bees, if you will), amateur sleuths, and one bumbling Sheriff. Just your regular, run of the mill light-hearted whodunit's! These were some fun, quick reads that kept me entertained and guessing who the culprit was in each story. I am usually not a fan of a book with so many short novellas. However, this book and the stories drew me in from the beginning. We find ourselves at the coffee shop in Oak Grove, Kansas. A group of six woman frequent the shop. Each soon finds themselves in a mystery. From a gun in a beehive to a stalker, these women ban together to solve the mysteries and clear their names. I love how the stories told were from each of the six womens' viewpoints. We were able to find out more about each character as their story progressed. The only downfall was that the stories did seem slightly off kilter. However, that did nothing to make the story less enjoyable. I would love to revisit the town. The Coffee Club Mysterries is a six short stories collection by different authors. This is a great choice for those who enjoy shorter reads and love coffee as each story features another friend who are all part of the book club. Well written and nicely paced they are easy to read. Characters are well developed, setting is fabulous and there is plenty of coffee. This is the perfect choice for all mystery lovers. A 3.5 star rating I've rounded up to 4 stars. I personally love mystery writing and I love the Christian genre. It's not often you find the two combined. This was a warm and cozy set of six stories that all follow the same group of friends that become amateur sleuths in their town. What's interesting is each book is written by a different author, but they meld together seamlessly. It felt like an updated Angela Lansbury. If you like the cozy whodunnit mystery novels then this book is for you. The group of women in these novels are true friends, and their friendship stands before any mystery they have to solve. It was refreshing to read how they supported each other emotionally and spiritually. I hope these authors decide to write a sequel to this book. I would like to see what these ladies uncover next. My thanks to the authors, Barbour Publishing, and Netgalley for a copy of this book in exchange for an honest review. These short stories were a delight to read. I would class them as a good cozy read. You can either set at the beach or in front of the fireplace. These were not edge of your seat thrillers but good mysteries done the less. Each main character was at a different stage in life. There wasn't even a romance in a couple of them. I recommend this book to all those who enjoy a light read with likable characters. I was given this book by NetGalley in exchange for an honest review. I was not compensated in any way. 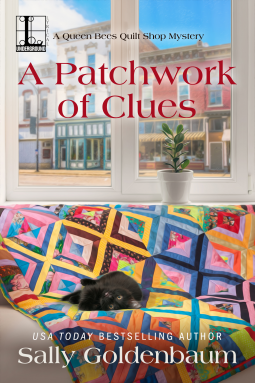 I have been a longtime fan of Dana Mentink's writing so I was excited when I saw she was included in a new novella collection of cozy mysteries by six different authors. Coffee Club Mysteries centers around a group of friends who are members of a book club in a small town in Kansas. Each story centers around a different member of the club who somehow finds herself in the middle of a whodunnit mystery. The ladies work together much to the displeasure of the local sheriff to solve the mystery and help their friend. 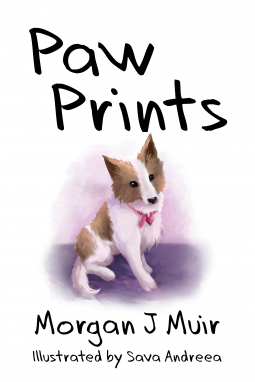 The stories include humor, suspense, fun-loving animal companions, and even a bit of romance. I enjoyed how the stories were connected to one another so you got updates on the characters you met in previous stories. It was refreshing to see a group of women of various ages and stages of life be so supportive of one another and exemplify true friendship. I received a complimentary advanced copy of this book from Barbour Publishing through NetGalley in exchange for an honest review. Reading this book I found 6 mystery stories about a group of ladies in a coffee shop in Kansas. each one has a mystery to solve. Thank you Netgalley for this nice cozy mystery adventure.. I really enjoyed reading this collection of mysteries. Each of the six stories was written by a different author, but it flowed like it was all written by the same person. Each story was unique and one thing I liked was that I wasn’t able to guess who the “culprit” was right off, I was surprised at the end of each story. I loved that there was a wide age range among the women of the Tuesday night book club. There was someone for every age reader to relate to. I would recommend this book. The Coffee Club Mysteries by Darlene Franklin; Cynthia Hickey; Elizabeth Ludwig; Dana Mentink; Candice Prentice; Janice Thompson. Each author tells the story of the mystery that each coffee club member finds herself in the middle of. So what made these stories a perfect pairing with my coffee? They are cozy mysteries. I absolutely love a good mystery! But I can not handle much violence and graphic descriptions of murders so cozy mysteries are exactly my cup of tea- or coffee in this case. 🙂 Some of the mysteries do involve a murder but the emphasis is placed on solving the mystery not on describing the murder itself. Some of the mysteries didn’t even include a murder and just happened to be my favorite in the set. They had mysteries more along the line of a Nancy Drew mystery which I still absolutely love. So, if cozy mysteries are your favorite style of mystery, then this book may be perfect for you. They are shorter than a full length book. Since they are novellas, I was able to read each story in approximately an hour. That was perfect for me since my life has become extremely busy all of a sudden. I was able to feel as if I had read a full book with each story but without the time a full book would have taken. So, if you are looking for smaller stories that you can read during short coffee breaks, then this book is for you. They include a lot of coffee! Have I mentioned yet, that this book involves massive amounts of coffee? For a coffee lover like me, it was really hard not to go brew a pot of coffee every time coffee was mentioned in each story, which was a lot! So, if you love coffee, then this book is a perfect excuse to brew another pot. What are you waiting for? Go brew a pot of coffee, pour yourself a mug (with your favorite creamer of course) and curl up with The Coffee Club Mysteries! I enjoyed this series of stories very much. I read every Dana Mentink offering that I can get my hands on and I was happy with this new story she has written. It certainly embodies the love a long time married wife feels even after the loss of her husband. I have been introduced to new to me authors with the other stories in the collection. I really enjoyed how each author has a specific character from the group in the ladies book club. It's a tribute to solid team work that each story meshed with the others. There has to be some great planning sessions in my mind. Each story smoothly introduced a mystery then the characters went forward to solve each individual one. It was nice to have a few romances for various ages sprinkled in. I want to thank the publisher and NetGalley for my copy of the book. I highly recommend it it to readers who enjoy sorter mysteries and a group of magnetic characters. Excellent read overall. What a fun collection of cozy mysteries! 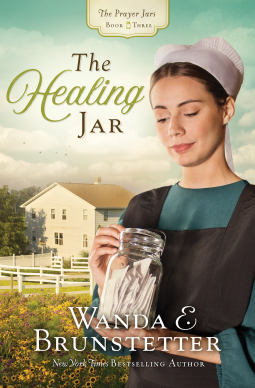 Each story is clean and sweet; the mysteries held my attention; and each storyline has a little bit of faith mixed in to keep this book in the Christian cozy mystery genre. I loved that each book in this collection involved the same characters, but focused on a different Coffee Club member each time. All the characters were interesting and even with all the different writers, kept their distinct personalities. The setting is small-town perfect. This is a good collection of stories from some great authors. I received a copy of this book from the publisher. All opinions are my own. Six stories, Six authors, and all in the same cozy town of Oak Grove. While the stories may be by six different authors, they all share setting and characters. This makes for six wonderful intertwining stories in one book. I have found it hard to find good Christian mysteries, but this book has six. While all these stories do have the themes of a thriller, they all focus on leaning on Christ in our times of need. This makes for such a good read because life is so unpredictable. We may never face anything as unexpected as what the characters in these stories face, but it is an important reminder to trust in God. I recommend this book to anyone who loves mysteries. You get six wonderful stories for the price of one. Overall, I have mixed feelings over The Coffee Club Mysteries. 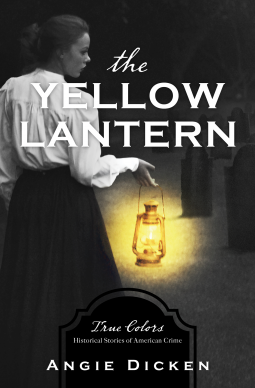 The first three stories followed a similar thread, and the gals from the book club found themselves in the role of amateur sleuths in a town apparently full of murderers. That being said, each novella was well-written. The characters were fun, quirky, and good at jumping to conclusions that led them to the bad guy before the Sheriff could gain any momentum in the investigation. I think Harper's story was my favorite as it felt more like a romantic suspense running-from-the-bad-guy type of story. Of course, you have to despise Sheriff Hayden, poor man, he couldn't find his way out of a paper bag if one end was open with bright sunlight streaming inside. The Coffee Club Mysteries was a clean, straightforward read with an occasional mention of God. Some of the stories were heavier on the romance than others, and I liked the balance that difference created. Although six different authors penned their own individual story, they all work together to make a tidy package. I could envision each of the six women of the book club as their story took place and I loved the friendship and camaraderie between them all. With wonderful dialogue and picturesque settings, The Coffee Club Mysteries was a good read. If you're looking for a good, clean read with witty banter and female amateur sleuths, this is a good choice for you. The stories take place over a year with the members of a local book club that meet weekly on Tuesday evenings at the The Coffee Perk serving as the amateur sleuths. Along with the help of a few neighborhood friends, a newly arrived writer, and a weirdly suspicious sheriff (could he have been the killer? ), crimes are solved and things are put right. Each of the stories demonstrate a bit of faith, though, as I said earlier, the quality varies from story to story. Though the main protagonist of each story varies, the same characters continue to define the book club and the same community shops define the nature of the town. The stories tie loosely together much like a scripted TV show is tied together week by week - the stories do not rely on each other and can be read separately, they share characters and settings. If a reader enjoys cozy mysteries, these stories and the book would be easily enjoyed over the course of a long weekend. I began this book and received exactly what I expected, a cozy mystery. The stories, by various authors, are intriguing and the characters are just what you would expect from a small town. If you are looking for a light, cozy mystery, this book has everything you are looking for. I would recommend this book for reading while on a cruise or at the beach. This book was provided to me free for the purpose of providing an honest review. I Love how all of these cozy mysteries are Christian based, share the same cast of characters and hometown setting in each, and have a group of friends solving a different mystery in each novella. Some are a bit more fast-paced than others, yet they are all well-written, enjoyable mysteries that can be read in one setting. Reminds me of the Hallmark Murder She Baked Series. I’d love to read more stories about the book club girls from the Coffee Perk. 4/5. I received a free copy of this book via NetGalley in exchange for an honest review. I am so glad I was given the opportunity to read this book. I typically don't like books that take turns telling the story from different character's point of view but this book just may have changed all of that for me. Wow, this book seemed very long which was nice, and although it is kind of a Christian book, that was enjoyable too. The characters were an amazing group of women that were members of a book club, although, I don't remember many discussions about books taking place. The characters were great, and being told by different authors, it somehow worked perfectly. Each character and story each had a different personality and were described in detail. Each story building off of and adding to the characters and stories, making each fully developed and detailed. The setting was wonderful as well and this book more than any I have read, give a real sense of community,  Each character had the freedom to introduce characters and parts of the story that the others would not. Overall, instead of feeling like a collection of short stories, it weaves together one story, from beginning to end, well, the end of this round of murders at least. I can't imagine that it was easy to have this seamlessly come together into one book.